Clever design and innovative storage furniture can maximise limited space and ensure a neat and stylish bathroom for a smooth morning routine or a relaxing evening soak! Achieve your own look with the perfect style combination. Visit our bathroom showrooms at Livingston and Forfar and get a taste for the different options and ideas you can implement in your project. Bathrooms are the third most visited room by guests in the home and more and more attention is been given to bathroom design. The solutions and choices available today, with over 200 products to choose from in our range, makes designing your perfect bathroom a real labour of love! Clever lighting solutions can help you create a spa-like feel in your bathroom, a place to relax and rejuvenate. Visit us in store or call to discuss the different options available for your bathroom project. With a lifetime guarantee on ceramics and a 30 year guarantee on supercast baths, plus a range of guarantees across all of our bathroom products, you can rest assured that you are investing in quality and longevity. 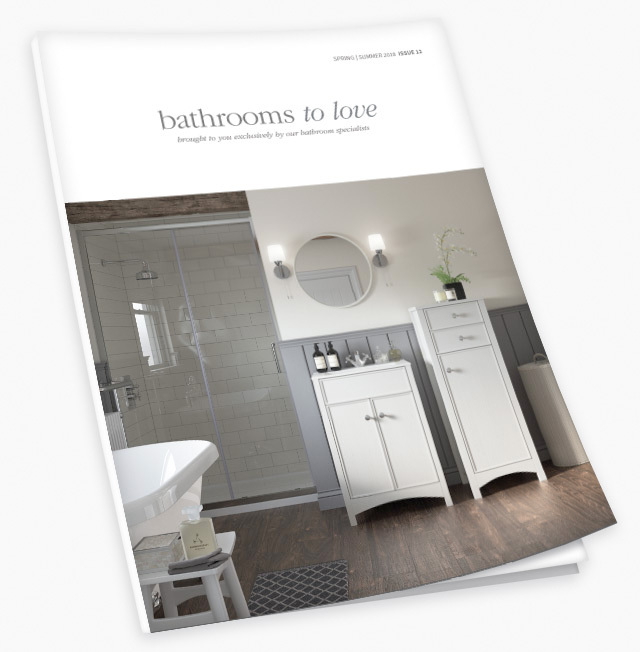 Download the full 2018 Bathrooms to Love brochure below.